A Fabricated Journey: Back and blogging! Hi there, Today I'm sharing with you some news that I was extremely happy to see. One of my greatest sources of inspiration ~ Ingvild Bolme has a new blog design and is blogging again. 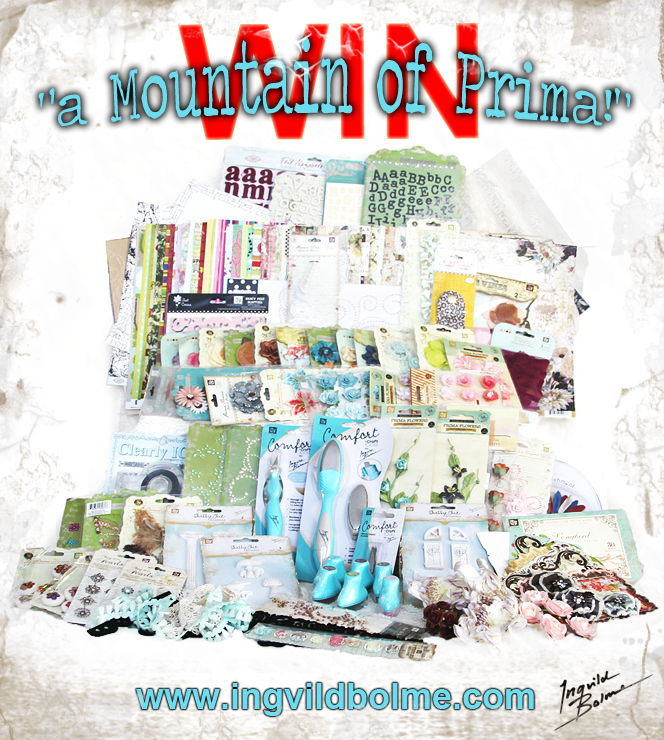 'MyPaperaART' and to celebrate she is giving away a FABULOUS Mountain of Prima products! Oh my who wouldn't love all this Prima and Ingvild goodness!! Follow the Links above for your chanceto win. Good luck!